Instructor: Donald M. Bernstein, Esq., Victor & Bernstein, P.C. Sponsor: Sponsor: Legal 1031, Berdon. Date and Time: July 13, 2011, 8:30 a.m. to 12:00 p.m.
Class Details: This class is particularly timely and relevant given the disruptions in the commercial real estate market that have led to numerous foreclosures and related appointment of receivers for those properties. The class will address receiverships, considerations in accepting or rejecting a receivership, who may,and who may not, serve as a receiver, functions, duties and responsibilities of a receiver, receiver compensation, obtaining payment and terminating a receivership, and many other issues related to receiverships. Class Details: This class is designed for attorneys who may represent sellers of real estate and want to be able to advise their clients on how they can benefit from various tax strategies related to their sale. This course will provide an overview of several important strategies used to minimize, defer or forgive the gain tax which may be due upon the sale of real estate, as well as the methods used to compute a capital gain tax and depreciation recapture including an in-depth discussion of the components that go into computing an adjusted basis and how gain tax is computed when a property is sold, an overview of depreciation and how it affects the profitability of real estate investments, how depreciation can create a tax when real estate is sold, primary residence capital gain tax exclusion, §1031 tax deferred exchanges, IRC §1033 condemnation exchanges, structured installment sales, and how to accomplish investor goals through creative financing and replacement property acquisitions for IRC §§1031 and 1033 exchanges. Location: Bank of America, 114 West 47th Street, 2nd Floor (US Trust Building—47th Street between 6th and 7th Avenues). 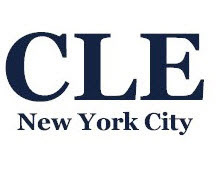 Class Details: This class is for attorneys who will, or may, represent actual or potential owners, lessees or sublessees of real property in New York. The class will address New York realty transfer taxes, some form of which a majority of jurisdictions assess on the buyer or the seller of real property when ownership of the real property is transferred or exchanged between two different persons or entities. Covered transfers include sales, “controlling interest” transfers and transfers via foreclosure or deed in lieu of foreclosure. This class has reached capacity. Please feel free to sign up for our next available Title Insurance Class on June 30, 2011, located here. This class has reached capacity. Please feel free to sign up for our next available Coop and Condo Due Diligence Class on December 8, 2010. Class Details: This class is for attorneys who will, or may, represent purchasers of Coop and Condo apartments. The class will address both contract issues the attorney should be aware of as well as due diligence that the attorney must conduct on behalf of the client. Specific issues to be addressed include time of the essence clause, delivery date issues, mortgage contingency clause, down payment and default clauses, review of Coop and Condo Offering plans, review of Coop and Condo Financial Statements, review of Coop Proprietary Lease, review of Coop Board minutes, and review of Coop or Condo’s By-Laws. The class will also discuss the various federal, state and local taxes related to such a transaction. Class Details: This class is designed for practitioners of commercial and residential real estate and addresses a number of ethical issues and potential ethical pitfalls the attorney should be aware of in a real estate transaction. 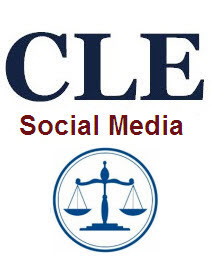 Particular attention is focused on potential conflicts in representing multiple parties to a real estate transaction, the requirement of obtaining a signed engagement letter, using non-attorneys such as paralegals and clerks to attend closings, handling escrow accounts, comingling escrow funds, and escrow account bookkeeping requirements. Location: Berdon LLP, 360 Madison Avenue (45th Street), 8th Floor Details: This class is for any attorney who wants an in-depth understanding of the role of the title company and title search in a New York real estate transaction. It provides a comprehensive overview of the entire title process; what title insurance does, and does not, protect the insured against; an examination of the various searches the title company conducts; how to read a title report; detailed discussions of Schedules A and B of the title report; issues related to clearance of Schedule B title exceptions; survey matters; and the title company's role at the closing. Click here to register for our Title Insurance Class. Class Details: In New York City where the availability of land is limited often the only way to build is by acquiring development rights (a/k/a “air rights”). This class provides a comprehensive review and analysis of air rights including the history and development of the legal concept of air rights, the role of the NYC Zoning Resolution in air rights deals, how to determine if there are available air rights to acquire, the nuts and bolts of an acquisition of air rights, the documents necessary to memorialize an air rights deal, and the title company’s role in an air rights transaction.